If you’ve been pining for more Peyton Manning on your television, you’re in luck. 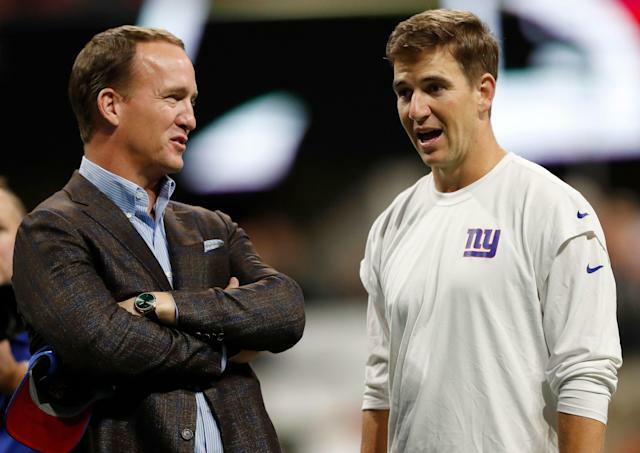 On Monday, ESPN announced a 30-episode documentary series with the two-time Super Bowl-winning quarterback called “Peyton’s Places” that will revisit key moments in NFL history as part of the league’s 100th anniversary. The series debuts July 15 on ESPN+, the network’s streaming service, and will be presented in five chapters of six episodes each. Parts 2-5 will debut each month after, through January 2020, and ABC and ESPN will air “compilations,” recapping each episode. It’s believed that ESPN would love to have Manning in the booth for “Monday Night Football,” and extending its partnership with him – Manning, NFL Films and ESPN collaborated on the Xs and Os show “Detail” last year with Kobe Bryant’s production company – adds to the belief that will come to pass. * Manning and the 1972 Dolphins pop champagne to commemorate the only undefeated season of the Super Bowl era.